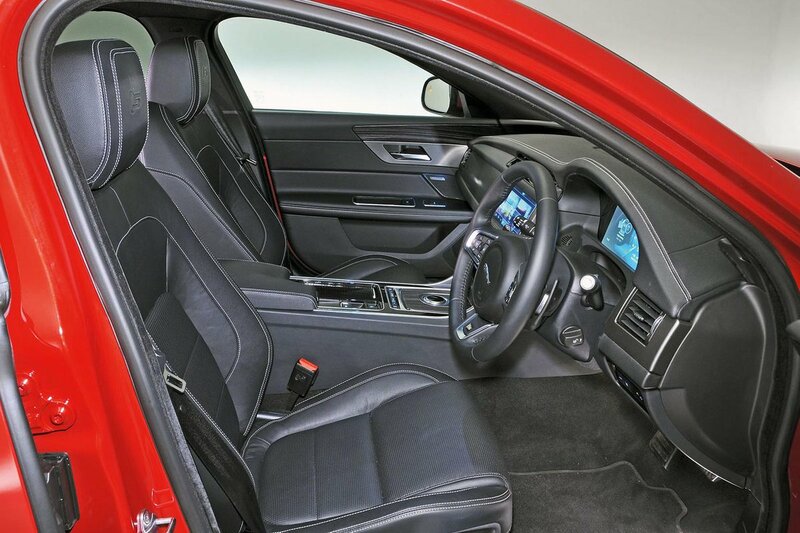 Jaguar XF Boot Space, Size, Seats | What Car? Interior space is one of the XF’s strongest assets. In the front, two tall adults will feel anything but hemmed in. There’s slightly more leg room than in the BMW 5 Series, even if there isn’t quite as much shoulder room. That said, there’s no danger of two adults rubbing shoulders. Beneath the central armrest is a cubby big enough to accept a wallet and a smartphone. The front door pockets will struggle to accept a large water bottle, though, because they are rather shallow. The XF’s glovebox is a better size, with room for more than just the owner's manual. Two six-footers will find their knees well clear of the front seatbacks and won't have to put up with their heads brushing the rooflining. In fact, leg room is better than in the BMW 5 Series. However, three adults side by side won’t have quite as much shoulder room as they would in the 5 Series or the Audi A6. The base of the middle rear seat is also raised, making it uncomfortable to sit on, and there’s very little room for the middle occupant’s feet. Then again, the same goes for most of the XF's rivals. Each front seatback has a pocket and there's one in each rear door, too, although the latter is quite narrow. The rear seats fold 60/40 in Prestige and R-Sport, but they can be made to split and fold in a 40/20/40 configuration as an optional extra. BMW charges a similar amount for such a feature. Portfolio and S models get this as standard, and the seatbacks lie almost flat when they're folded down. 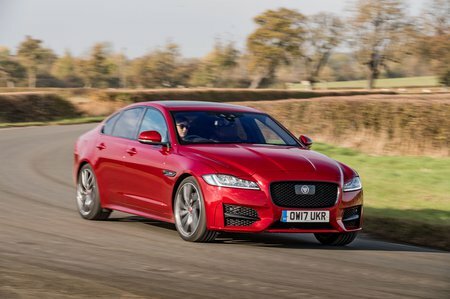 The XF has a similar amount of outright boot space to its key rivals, the 5 Series and Mercedes-Benz E-Class. 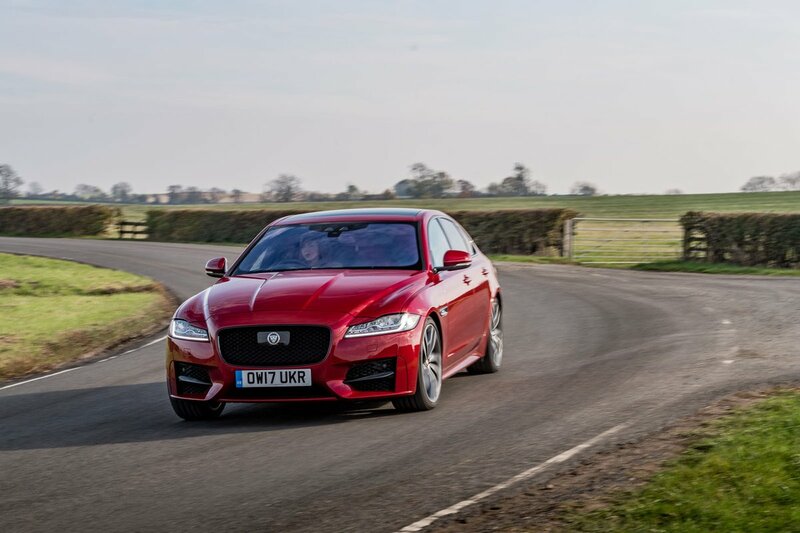 However, access is less impressive, because the XF's boot aperture is small even by saloon standards, so loading broad items can be tricky. The boot also narrows dramatically towards the rear seats. This means that, when the seatbacks are down, you’re left with a narrower tunnel to squeeze items through than in the A6 and 5 Series. An electric bootlid is available as an option, and you can also pay extra to have it open when you wave your foot under the rear bumper.